Beauty may be in the eye of the beholder, but its preservation lies in the hands of your facial injectable provider. Do you long for the face you had 10 or 20 years ago, but aren’t sold on plastic surgery? You aren’t alone. Facial volumization has come a long way, and may be the path to a natural, more youthful you. As we age, our face changes in some unflattering ways, including loss of volume, thinning skin, and loss of bony facial structure. It’s estimated that we lose one teaspoon of volume in our face each year beginning in our mid-thirties—two if you smoke. This creates hollows, folds, and shadows that make us look older in the same way that a raisin looks older than a grape. We start off plump and full of volume, and it all shrinks over time. When fillers first entered the cosmetic market, providers tended to inject faces in a cookie cutter fashion. They filled in the frown lines and plumped up the lips. Everyone looked the same. With a new, enlightened understanding of the aging face and filler use, providers are using fillers strategically, getting more natural results. Today’s facial fillers work wonders on wrinkles, folds, and contour deficits, and work with the features that are distinctively yours—smile lines, cheeks, lips, jawlines, temple hollows, or hollows under the eyes. With the wide variety of fillers on the market, it can be daunting to know what products to choose. An experienced facial injector will be able to make the right choice for you based on your goals and needs. It’s important, however, for you to have a basic understanding of the products available, and how they work. The three categories of fillers are: gel fillers, collagen stimulators, and permanent fillers.
? Gel fillers are non-permanent fillers that contain hyaluronic acid, a naturally occurring component in our skin. They provide structural support by attracting up to 100 times their weight in water. Gel fillers come in different formulations and viscosities. 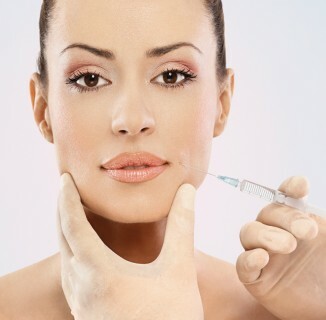 FDA-approved gel fillers include the Restylane, Juvdérm, Perlane, and Belotero families of products. Gel products tend to last between 6 and 12 months, depending on the product used and the area injected.
? Collagen stimulators correct volume loss by stimulating the natural production of collagen in the skin. Radiesse is a semi-permanent filler composed of calcium hydroxylapatite. Calcium hydroxylapatite is a natural component of our bones and teeth. It’s a highly regarded filling agent, because it provides three-dimensional sculpting when injected. Sculptra Aesthetic is a semi-permanent filler composed of poly-L-lactic acid, a substance used in dissolvable stitches. Sculptra is injected as a liquid, which then works to build up collagen in your skin and is used as a global volumizer (meaning its benefits affect more than the injected area). Collagen stimulator products tend to last from 18 to 24 months. You can expect to pay from $600 to $1,500 per syringe, depending on the filler used. Most offices offer favorable pricing strategies when using multiple syringes.Additionally, many of the manufacturers offer loyalty reward programs that over time equate to discount on treatments. 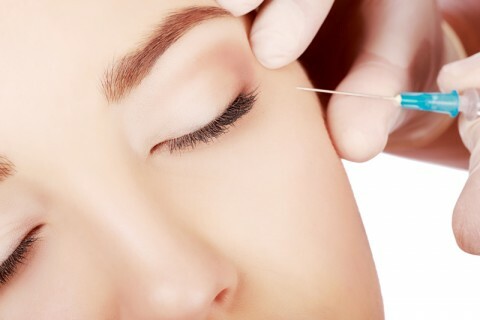 “To get the best results, most people need several syringes of temporary fillers, and touch-ups will be needed on an ongoing basis for maintenance,” says Matarasso. While facial revolumization with dermal fillers is not a permanent solution, it allows you to hold back the years gracefully. Looking “not done” is the new “done” in the cosmetic world.